PS Vita Port of Galak-Z: The Dimensional Cancelled, "Can't compromise beautiful & responsive gameplay"
Developer 17-Bit took to twitter to inform fans that they have to cancel the PS Vita version of Galak-Z: The Dimensional, citing hardware limitations that would prevent a proper port from being realized. Vita faithful: heart-breaking technical limitations force us to put #galakz Vita on ice. Can’t compromise beautiful & responsive gameplay. PS Vita is apparently not powerful enough to provide a good enough experience for Galak-Z. Galek-Z: The Dimensional is an open-world space shooter that uses 16-bit stylized graphics to provide a unique 2D dog fighting experience reminiscent of old-school shooters. The PS Vita has been determined to be not powerful enough to provide the experience that they 17-Bit wants to achieve. The PS Vita isn’t under-powered per-se, either. If properly optimized for it can provide a very immersive and good looking experience. The PowerVR SGX542MP4 is slightly aged at this point, though the inclusion of dedicated VRAM helps to increase it’s effectiveness. It’s no slouch if properly programmed for. Uncharted: Golden Abyss is one of the best examples of what’s possible with the PS Vita. Though the levels are perhaps smaller than what you’ll find on home-bound consoles, that’s also a result of limited space for asset storage as well. 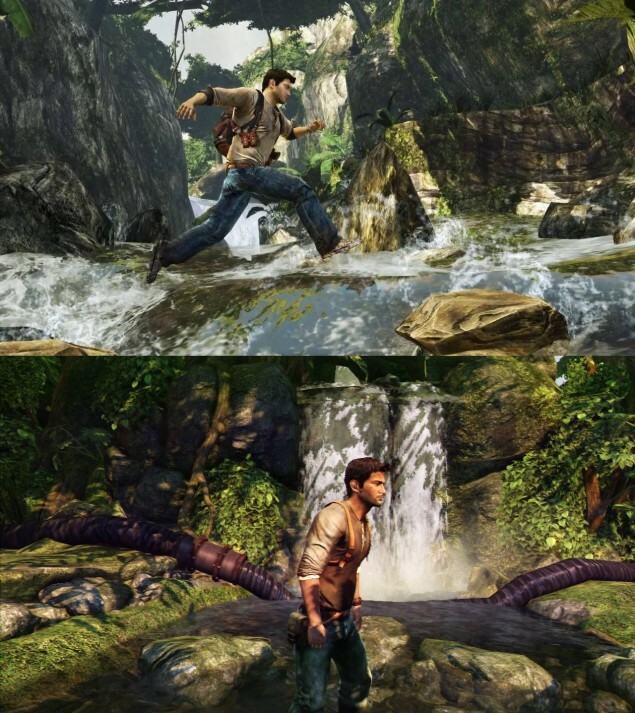 Take a look below at a comparison between the PS Vita and PS3 comparing Uncharted: Golden Abyss and Uncharted 2: Among Thieves, and see if you can spot which one is which (It’s not that obvious, though still, take a look). PS Vita is on top while the PS3 is on the bottom. There are definitely obvious differences, but the graphics don’t contrast that much. The resolution is obviously lower, the quality and how it looks on the smaller screen means it still looks fantastic while actually playing. 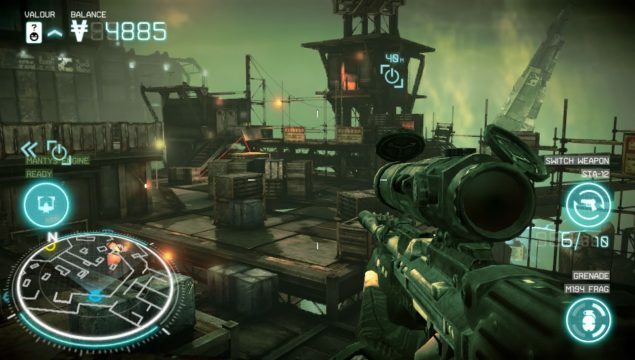 And another game that showcases just the kind of complex graphical scenes that it’s capable of rendering. So if the PS Vita is capable of rendering complex graphical scenes with water shaders, pixel perfect reflections and shadow casting light sources, then why not dedicate some time to provide a proper port? Even a dynamic resolution solution could make it possible to play Galak-Z just fine. If the issue is limited storage for world assets, then a procedural rendering approach could help reduce the size enough to be enjoyable for everyone. It seems as if the issue is in the resources to dedicate to make a real port, because the PS Vita, no matter how old it might be, doesn’t lack in it’s graphical prowess.